Business professionals provide an abundance of skills necessary in a variety of fields. An accelerated Master of Business Administration not only helps further the professionalism in the business world but translates to a time- and resource-efficient education leading to leadership and specialized roles and increased salaries. Read on to learn about what an MBA from the right college can do for graduates of the field. Finding a good accelerated MBA degree program boils down to several factors: accreditation, length of degree, cost and specializations. Business administration is such a broad field that a specialization is almost necessary. Students should find a school that offers at least several MBA specializations, so that they can better prepare for their career goals and the fierce competition in the business world. Among accreditation’s importance is the fact it marks the quality of the school’s program. The shorter length of an accelerated Master of Business Administration makes it more flexible and cost-effective than the traditional alternatives. Cost-effectiveness of an MBA is a major marker of a good program, which are included in the ranking system below. At Missouri State University, students who have satisfied 80 hours of undergraduate work in business with a 3.0 GPA may qualify to participate in the accelerated Master of Business Administration program. If accepted, you will get a jumpstart on graduate studies by taking 6 credit hours of work during your senior year. Most approved courses are available online and explore marketing, finance and computer information systems. In total, the degree calls for 18 credit hours of foundational work and 33 credit hours of business core curriculum. Students interested in pursuing concentrations in marketing, human resource management or supply chain management can enroll in the accelerated online Master of Business Administration program at the University of North Texas. Over the span of 14 months you will work through 36 credit hours of core and field-specific classes including Financial Management and Administrative Strategy. Courses are implemented in 8-week formats with 5 start dates every year. There are a number of academic supports available to online learners such as career services and library access. Your application must include transcripts, GMAT scores, a personal essay, resume and 2 reference letters. The online and accelerated program to earn a Master of Business Administration at Cleveland State University calls for the satisfaction of 32 credit hours over the span of 1 year. Students will engage in coursework such as Product Management, Strategic Entrepreneurship and Team Dynamics while maintaining a minimum 3.0 grade average. Courses are delivered through the web platform Blackboard Learn and enrollees have access to technical assistance at any time of day. Online learners can also utilize tutoring services, the library and a writing center. Your undergraduate GPA and GMAT or GRE scores determine admission. At Southern Utah University, students who have already completed foundational business coursework can sign up for an accelerated 1-year option to complete a Master of Business Administration. Applications must include transcripts, a resume, GMAT scores and 3 letters of recommendation. Curriculum, which is delivered in hybrid and online formats, involves a minimum of 30 credit hours in topics of global business, economics and strategic marketing. You must maintain a 3.0 GPA in order to graduate. The Dixie L. Leavitt School of Business provides professional development and networking opportunities. Students enrolled in Florida International University's online and accelerated MBA program can graduate in as little as 18 months. On top of completing 42 credit hours in classes such as Organizational Behavior and Competitive Strategy, you are also required to participate in 2 professional development seminars. Enrollees can pick from 8 specializations including real estate or international business. There are MBA-specific scholarships available to all enrollees, as well as tuition discounts for military members. In order to qualify you must hold a 3.0 GPA in undergraduate studies. Additional criteria looks at work history and GMAT or GRE scores. Graduates of Columbus State University's online and accelerated program for receiving a Master of Business Administration enter positions at government agencies, marketing firms and nonprofit organizations. Students spend 5 semesters fulfilling 30 credit hours of coursework with a grade B or higher. Curriculum develops skills in managerial finance and human behavior. You will have access to library databases, a bookstore and technical guidance. Applicants need to submit transcripts showing completion of a bachelor's degree, GMAT or GRE scores, a resume and 2 letters of recommendation. The College of Business at Oregon State University offers its online Master of Business Administration program in an accelerated format. This option, which requires 45 credit hours, takes 21 months to complete. Students holding a 3.0 GPA from an AACSB or EQUIS-accredited bachelor's degree that is less than 10 years old qualify for admissions. Applicants must also submit GRE or GMAT scores. The Graduate Writing Center and Career Success Center are resources to assist online learners in their studies and professional development. Students possessing a bachelor's degree in business and a minimum of 2 years professional experience qualify for the University of Florida's hybrid and accelerated program to complete a Master of Business Administration. Curriculum, which entails 12 months of 32 credits, combines online coursework, campus visits once every 4 months and a weeklong residential orientation. You can select from concentrations in entrepreneurship, global business, finance or marketing. Business Career Services assists online learners in job exploration, networking opportunities and resume building. 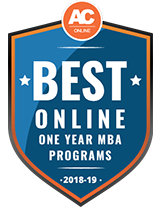 The University of Texas at Tyler affords students the opportunity to enroll in an online program for completing a Master of Business Administration in as little as 12 months. You must complete 36 credit hours in core and elective coursework with a minimum 3.0 GPA. Curriculum covers organizational behavior, international business and cybersecurity. Applicants must possess a bachelor's degree and admission is based on a combination of GPA and GMAT scores. Online learners can utilize technical assistance, library access and academic advising. The University of Texas in Rio Grande Valley offers students the opportunity to earn a Master of Business Administration in an accelerated and fully online format. Over the span of 12 months, you will explore 36 credits in corporate finance, business ethics and strategic management. While enrolled, online learners can take advantage of the library, as well as technical assistance for navigating the learning platform Blackboard Learn. Program eligibility calls for a 3.0 GPA in undergraduate work, a GMAT score of 400 or GRE verbal and quantitative scores of 146. Prospective accelerated Master of Business Administration students are inquisitive about a number of subjects, from the amount of time it takes to complete an MBA to the math involved to the worthiness of a one-year degree. Below the top frequently-asked questions on obtaining an MBA have been addressed. A: A professional with a Master of Business Administration will have skills needed to start and maintain businesses, and an MBA is required to hold certain leadership positions. MBA degree-holders may qualify for more job opportunities, promotion and increased pay. Q: How long does it take to get a Master of Business Administration? A: A full-time MBA student will take about two years to complete the degree program; however, those on the track to earn a bachelor’s and master’s together may complete these both in as little as three years, and students of accelerated programs will have the option of completing the MBA in one to two years. Some colleges accept previous experience or earned credits toward the overall credit requirement for MBA graduation, shortening the length of the program. Q: Are there different types of an MBA? A: Types of MBA study include full-time and part-time, traditional two-year study, accelerated study or executive study. Executive is intended for current business professionals holding down a job while attending school. Q: What kind of jobs can you get with an MBA? A: A wide range of careers are available to those with a Master of Business Administration degree, at least in part because of the number of specializations available in the field. Examples of MBA job positions include financial analyst, chief financial officer, marketing director, human resources director, operations manager, senior accountant and business development manager, to name a few. Q: Is there math in the Master of Business Administration program? A: The types of math MBA students will encounter include accounting, statistics and finance. However, math-wary inquirers should keep in mind that these types of math are interwoven into a number of courses within the degree program. No math courses above the calculus level are generally required of MBA students. Q: What is the salary of an MBA? A: According to Payscale, the average salary of a professional with an MBA is $84,000, but this number varies greatly by job position. For example, a financial analyst earns an average of $61,886; marketing manager, $71,828; marketing director, $113,235; and chief financial officer, $145,163. The higher the leadership position, generally the higher the compensation will be. Q: How much does an MBA cost? A: The tuition for a Master of Business Administration degree program varies widely by higher education institution. Big-name universities’ MBA programs can run close to or above $100,000 for a two-year program, whereas a degree at a lesser-known accredited university or college can be closer to $7,000 for the same amount of time. Factors to keep in mind when considering overall tuition include available financial aid, as some universities have more available scholarships and grants than others, and post-graduation payout. Hirers may be more impressed by a graduate from a school that is a household name, but will the compensation of the position outweigh the burden of school debt? Q: Can I earn an MBA after a bachelor’s in business administration? A: A bachelor’s in business administration will set up the foundation for an MBA, but those who have earned bachelor’s degrees in other subjects may also be able to apply for an MBA program. However, a BBA may prove to be more beneficial for those ultimately pursuing an MBA because some BBA course credits may be able to be applied to the master’s program, effectively shortening the amount of time to get both degrees. Q: What is an accelerated MBA? A: An accelerated MBA is a degree program that can be completed in less than the usual full-time, two-year MBA track. Usually, depending on several factors, including previously earned credits or possibly applicable professional experience, an accelerated degree takes between a year and a year-and-a-half. Q: Is a one-year Master of Business Administration worth it? A: Determining the worth of an MBA earned in one year versus the traditional two years has a number of factors to consider, but the question also infers that a one-year degree’s teachings have less academic value than a two-year. This is not necessarily so. Accelerated MBAs are intense programs packed into a year or slightly more. This does not mean less work is required. As far as monetary worth is determined, salary versus tuition is an important consideration. Regarding a two-year traditional MBA degree, the added costs of tuition, lost work time and other related expenses may decrease the overall payout of the degree; whether it is earned in one year or two years, a graduate with an MBA will likely have the same opportunities despite the amount of time spent on schooling. Subjects offered for study in MBA programs nationwide will vary by school; however, each program will have the basics of accounting, ethics and management, for example, and also offer specializations in areas such as marketing, finance and corporate strategy. A focus on any of these subjects could lead into a specialized career choice. A foundation of financial accounting basics is covered in this course. Students study how investments, transactions and operating costs are documented via three financial statements. The course also teaches how to analyze corporate financial statements. MBA students specializing in accounting would be prepared for jobs such as financial planner, financial analyst and investment analyst. Students learn about legal and ethical business dealings, including contracts, dispute resolution, effects of business decisions and ethical analysis. Graduates with a business ethics focus would be ready for a position such as business ethics consultant. This course focuses on methodology of general managers, detailing processes and sequences of events. Students learn management processes such as strategy, resource allocation, decision-making, learning and change. MBA graduates with a specialization in management would be prepared for a wide range of management positions, including product manager, business enablement generalist, IT project manager and management consultant. The marketing course teaches design and implementation of a firm’s strategy for target markets. Students will learn how to create and deliver content and the skills needed to apply analytical concepts to targeting, branding, pricing, distribution and promotion. MBA grads with a specialization in marketing will be prepared for jobs including marketing director and marketing manager. This highly analytical course provides the framework for evaluating financial decisions based on modern finance practices. Subjects covered by the course include cash flow techniques, capital budgeting, capital asset pricing and market efficiency. Graduates with an MBA and concentration in finance will be qualified for careers as finance manager, financial adviser and financial analyst. Students of this course will learn how to create and maintain value for organizations and how to hold a competitive advantage. Students analyze business situations and create corporate strategies and form an understanding of how corporate strategy and organization structure work together. An example of a position an MBA grad with a focus on corporate strategy would qualify for is business strategy manager. A huge amount of scholarships for students enrolled in Master of Business Administration degree programs are available nationwide but also on a local scale. Qualifications for these scholarships range from academic performance, military background and minority status to business administration association members. MBA-specific scholarships are also awarded at the university level. Students seeking financial assistance should check with their school for additional information and resources. Students who have served in the military and earned an undergrad degree can apply. A total of $20,000 will be awarded among recipients who seek their MBA within the approved list of member schools. Current MBA students may not apply. Applicants, including business administration students with a focus on government of non-profit management, vie for one $10,000 award. The scholarship will go to a minority student with “outstanding” school performance. A letter of recommendation is required. Applicants must be pursuing either an MBA, JD/MBA, Master of Real Estate or Master of Finance or planning to begin an MBA as a first-year student and qualify as a minority and U.S. citizen. Fellowship recipients must be planning a finance career post-graduation. Recipients of the $1,000 scholarship are the candidates who have proven their passion for Internet Marketing, an MBA study. Students must have one year of college completed and a 3.0 GPA. Applicants of this $5,000 scholarship must have attended the QS World MBA Tour event near them, submit an essay, letter of recommendation and meet academic requirements. The scholarship can be used toward Golden Key International Honour Society members’ MBA study at any accredited school worldwide. Students working toward an MBA or graduates and professionals will find many membership resources for those with similar business backgrounds. Some associations are geared specifically toward MBA grads, while other organizations focus on one of the specialized careers that come from an education in business administration. 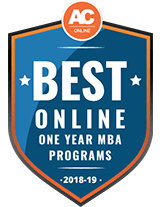 AMBA provides an accreditation service for MBA, DBA and master’s degrees and connects students, MBA grads, accredited schools and employers. Additional perks of AMBA membership include online and in-person networking, events and training and topical business-related reports and updated information. MBA degree-holders join a large network of business professionals and are able to market their product or service through the website. Worldwide job connections are also available through the association. AMA members benefit from continued education through the association’s seminars, journal, newsletters and resource library. AMA offers different levels of membership to students, individuals and small and large businesses. More than 16,000 finance professionals use this association for community and networking, professional tools and publication and research resources. Among the professional resources are links to a number of certifications, virtual seminars and training and career development resources. The AMA connects marketing professionals from around the world. Membership perks include the marketer’s toolkit, complete with templates, tools and resources; discounts; exclusive newsletters; live webcasts; conferences and training events; and industry publication access.